Join Bert’s Big Birthday Club today! 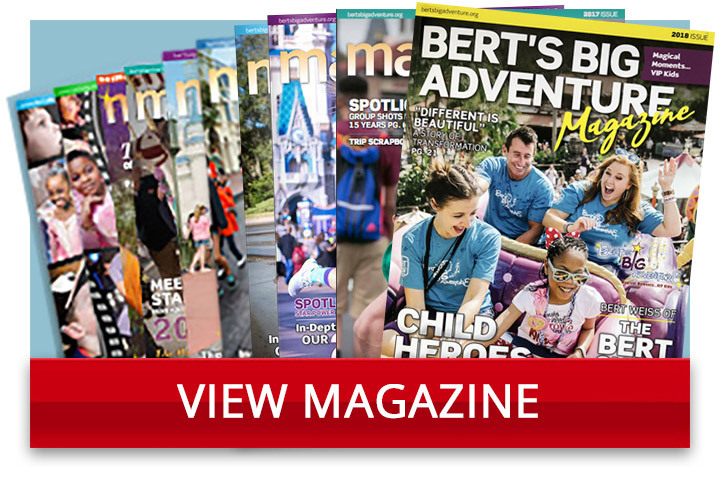 By asking your friends and family to donate to Bert’s Big Adventure in honor of your birthday, you’ll be making magical moments in the lives of children with chronic and terminal illnesses. It’s so simple, yet so impactful. Just let your friends and family know that you’re donating your birthday to Bert’s Big Adventure, and have them click here to make a donation in your honor! 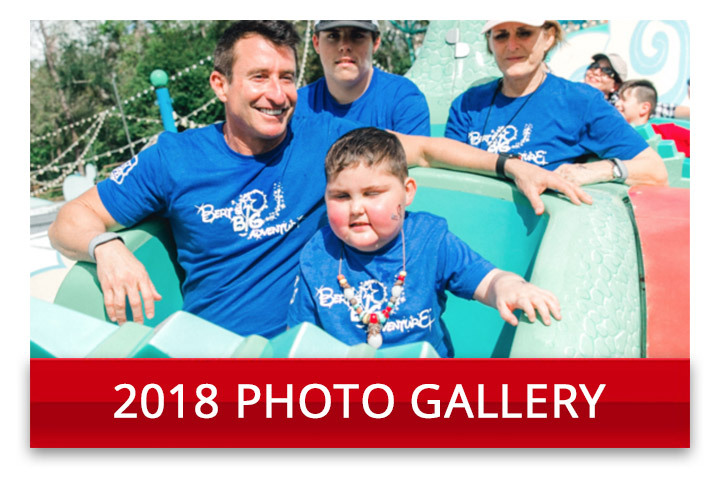 If you’d like us to display photos from your birthday party, please send them, with a brief description of your party and the money collected, to mollyp@bertsbigadventure.org. 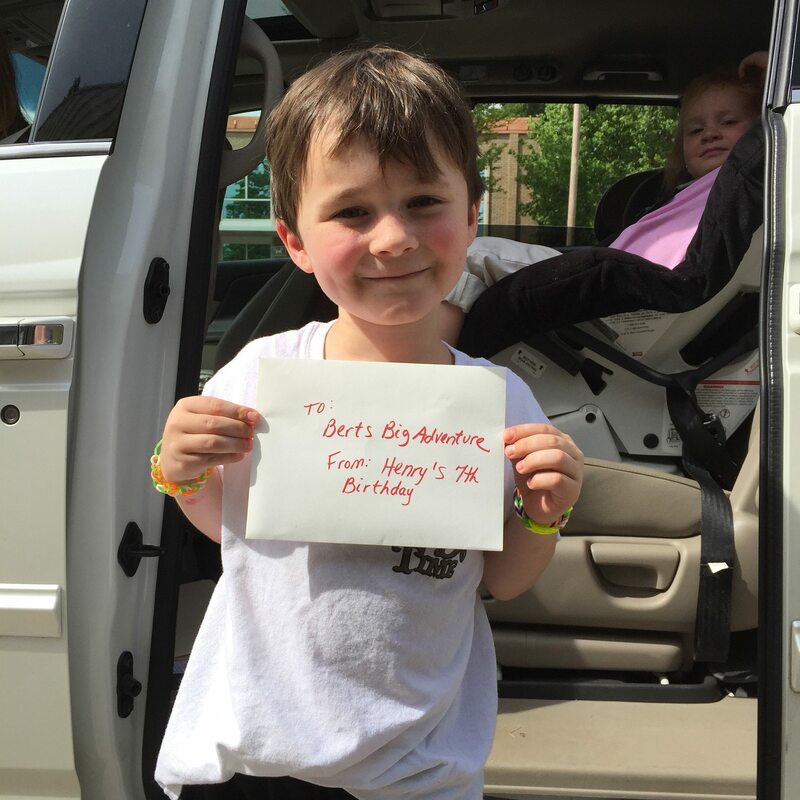 Sam turned six on January 11th and in lieu of gifts, he asked his guests to bring 6 dollars for Bert’s Big Adventure. Then one of his friends, Henry Fahy, did the same thing on his birthday! The two raised nearly $300 between their two parties. We invite you to follow Sam and Henry’s lead by “Donating Your Birthday” in support of Bert’s Big Adventure. Sam’s friend Henry Fahy did the same thing on his birthday! The two raised nearly $300 between their two parties. We invite you to follow Sam and Henry’s lead by “Donating Your Birthday” in support of Bert’s Big Adventure. 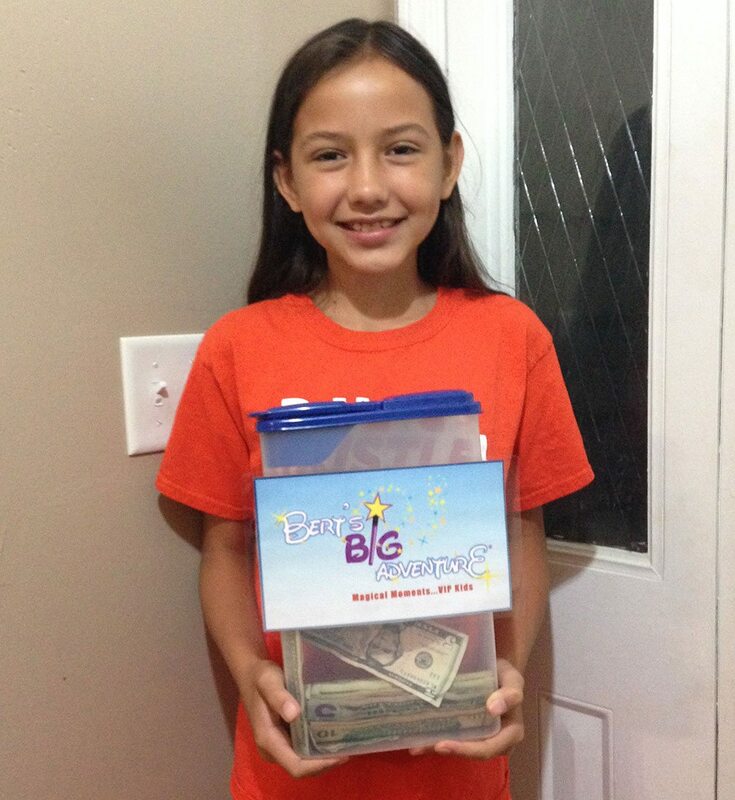 Baiden collected donations for Bert’s Big Adventure in lieu of gifts for her 10th birthday party. She raised $200. 🙂 Here is a picture of her with her collection bucket.